With only a few hours left to pass a federal budget today, it’s becoming more likely that the US government is headed toward a shutdown at midnight. That means federal agencies like NASA will be forced to send some workers home without pay and alter daily operations. However, a shutdown won’t have a big impact on the space agency’s biggest projects, and commercial companies like SpaceX — which rely on NASA and other government hardware — probably won’t suffer any schedule delays. The most recent guidance from NASA, released in 2017, indicates that all nonessential employees should stay home during a shutdown, while a small contingent of staff continue to work on “excepted” projects. The heads of each NASA center decide which employees need to stay, but they’re typically the people who operate important or hazardous programs, including employees working on upcoming launches or those who operate satellites and the International Space Station. Astronaut Mark Vande Hei on the outside of the space station. 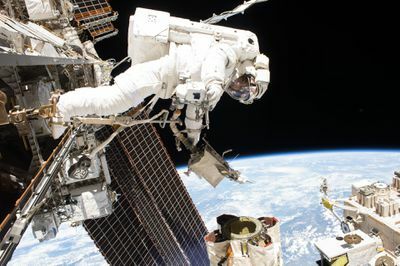 He’s set to do two more spacewalks in January. NASA’s next big mission is the launch of its exoplanet-hunting satellite, TESS, which is going up on a SpaceX Falcon 9 rocket from Florida in March. So it shouldn’t be affected by a shutdown (unless it takes a while to find a resolution). However, it’s possible that preparations on another big spacecraft, the James Webb Space Telescope, may come to a halt, according to Nature. The space telescope is currently at NASA’s Johnson Space Center for testing, but NASA’s guidelines say that only spacecraft preparations that are “necessary to prevent harm to life or property” should continue during a shutdown. More immediately, an Atlas V rocket from the United Launch Alliance is launching a missile-detecting satellite tonight out of the Cape Canaveral Air Force Station in Florida, while SpaceX is slated to launch a communications satellite on January 30th. The timing of both launches may mean they avoid the shutdown. But if they did occur during the shutdown, it’s unclear if they would suffer delays. The Verge reached out to the Air Force’s 45th Space Wing, which oversees these launches, but did not receive an answer by the time of publication. SpaceX also has another big project it’s focused on: test firing the engines on its new Falcon Heavy rocket. 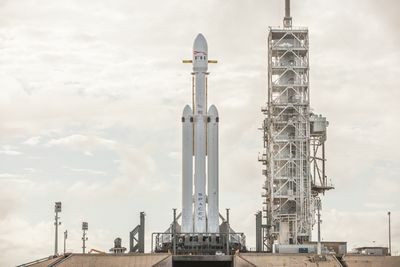 The test involves raising the Falcon Heavy vertically on its launchpad and igniting all 27 of its engines while the vehicle is constrained. It’s possible that the test could come early next week. But the Falcon Heavy’s launchpad is located at NASA’s Kennedy Space Center, and limited staffing at the site could pose a problem. SpaceX told The Verge that the company is not expecting the shutdown to affect its operations. It’s possible NASA will release more information in the next few days — or the shutdown may not even occur if a resolution happens tonight. 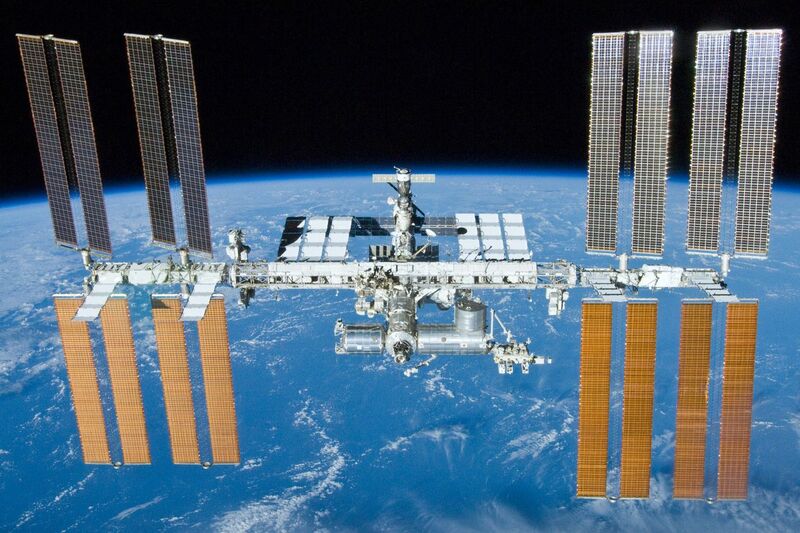 But no matter what, NASA’s biggest programs will stay afloat, and staff will be on hand to keep astronauts safe.